Especially in the summer months, homeowners are making the most of the sunshine until dusk, eating al fresco and enjoying their gardens and outdoor space for longer. 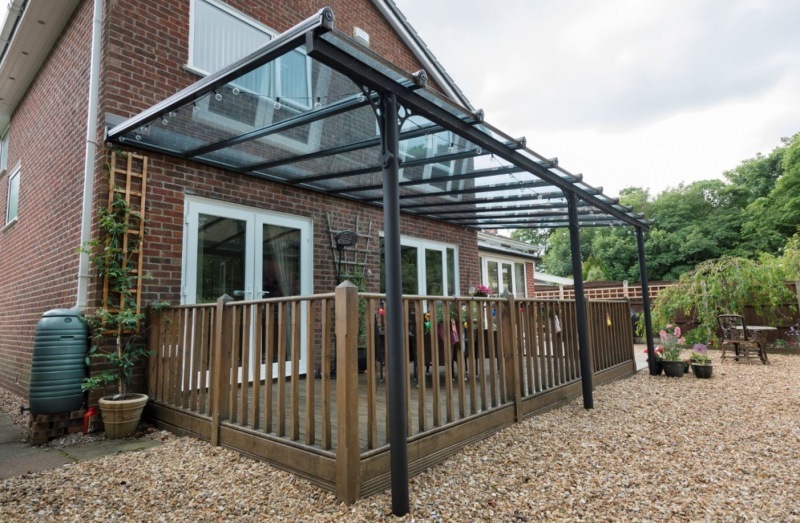 Adding Verandas, canopies and pergolas to gardens are now more popular then ever and not just for large garden spaces but also for smaller yard areas and on driveways as a car port. The Verandah system from Prefix is a simple yet effective product with pleasing aesthetics. 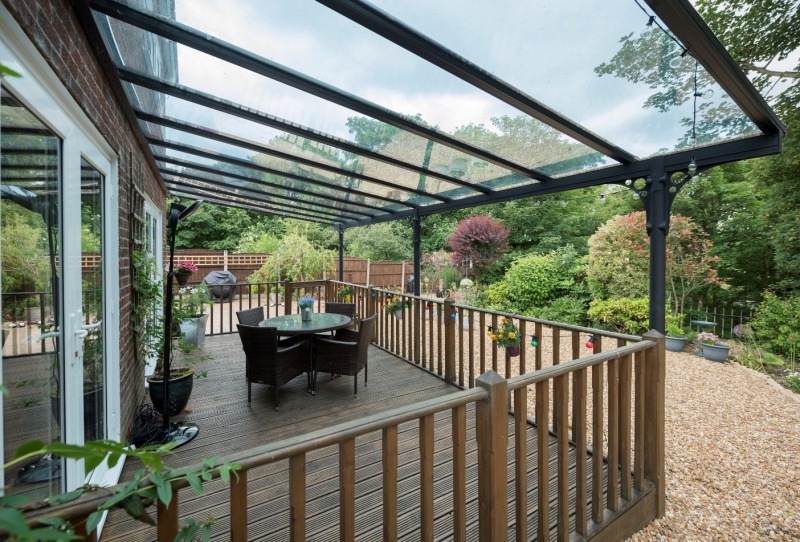 Available in any colour, the Verandah is fast becoming the ultimate ‘must have’ product for our customers. 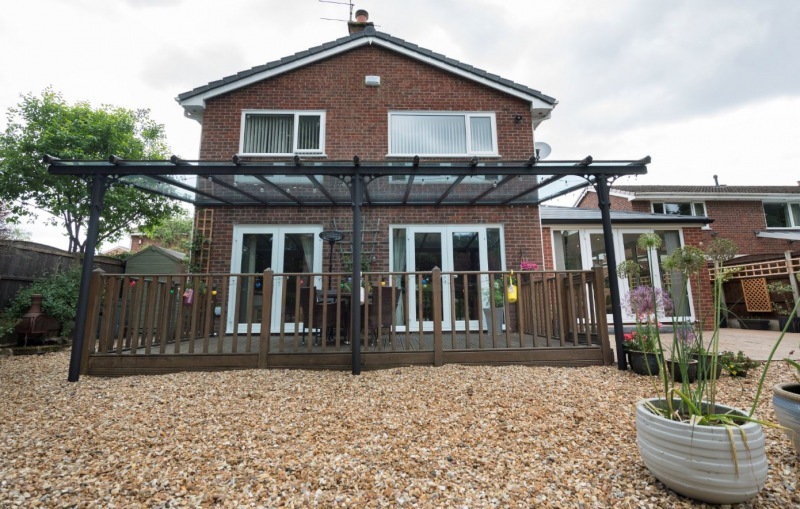 Not only is the Verandah practical and appealing on the eye, it’s also a great investment for any home yet much more cost effective than adding a conservatory or extension. It provides homeowners with the perfect opportunity to seamlessly blend the indoors with the outdoors. The Verandah is available with various foot & collar options including a square post which launched this year. The minimum roof pitch is 5° with the maximum being 30° and maximum projections being 4m (although larger projections are available on request.) We partially assemble the Verandah in our factory before delivering it for ease of handling and installation on site. On average, the Verandah can be installed within the day making is a no fuss, no disruption installation – a definite USP for consumers.